In February 2016, Holme Low Parish Projects Group were awarded a grant of £509 from the North West Allerdale Community Grants Fund towards the cost of purchasing a new noticeboard for the Parish. The noticeboard will be used to publicise local events and activities and encourage people to get involved in local projects. 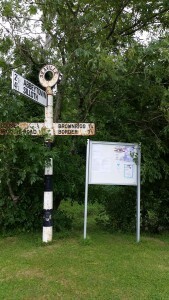 The noticeboard has been sited at Seaville for the benefit of local residents.